Last edited by that Coral Guy; 01-23-2019 at 03:05 AM. This MASSIVE Coral Show is Expanding for the Second Year in a Row with Even More Vendors and Saltwater Companies. There will be 90 Tables This Year. Up from 75 Last Year and 55 the Year Before that. This Mega Show is the Biggest Single Day Frag Swap in the Midwest and One of the Biggest Coral Shows in the Entire World !!!!!!!! The Only Bigger Single Day Frag Swap is in Connecticut. 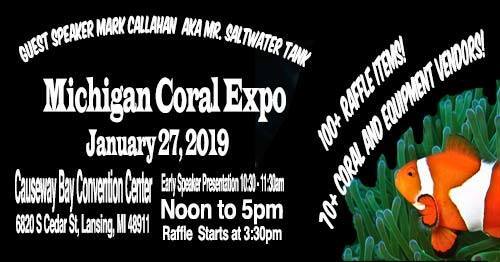 Not Only is this the Biggest Coral Show in Michigan but it is also the Biggest Coral Show in the Midwest and One of the Biggest Coral Shows in the Entire World !!!!!!!! (The Only Bigger Single Day Frag Swap is in Connecticut). - Guest Speaker (YouTube Celebrity - Mr. Saltwater Tank Himself – Mark Callahan) !!!!!!!!!!!! This GIGANTIC Coral Show Only Happens Once a Year so you Definitely Do NOT want to Miss it !!!! 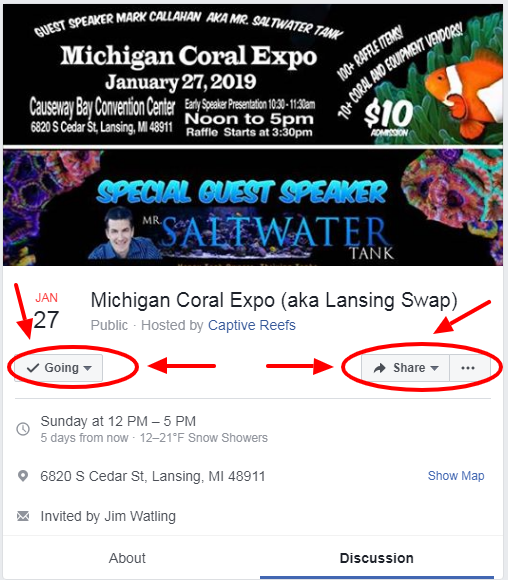 EVERYONE Please Remember to Mark "Going" or "Interested" on the Michigan Coral Expo & Frag Swap (Lansing, Michigan) Facebook Event Page. This EPIC Coral Expo is Going to Be Awesome !!! !